Beautifully engraved certificate from Dynapol issued in 1975. 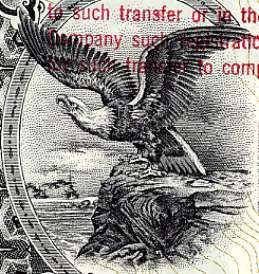 This historic document was printed by the Pernau-Walsh Printing Company and has an ornate border around it with a vignette of an eagle perched on the edge of a cliff. This item is hand signed by the Company's President ( Mr. Steven Goldby ) and Secretary and is over 29 years old. The certificate was issued to William R. Hewlett, co-founder of Hewlett Packard. In 1972, Dynapol was founded by Dr. Zaffaroni with a primary aim of developing safe food additives. Dynapol was involved with absorption, distribution, metabolism, and excretion studies supporting FDA certification of non-absorbable food coloring agents, sweeteners, and antioxidants.